PT Survey Prima Solusi Statindo (SPSStatindo) formerly is SPSS Indonesia, and now with our “new brand-name” Purpleanalytics , we are partnering with IBM and stay focus to sell SPSS Statistics software to the wide and promising market in Indonesia. IBM SPSS® Statistics is statistical analysis software that delivers the core capabilities you need to take the analytical process from start to finish. It is easy to use and includes a broad range of procedures and techniques to help you increase revenue, outperform competitors, conduct research and make better decisions. SPSS Statistics has a comprehensive range of statistical procedures for accurate analysis. Support for all types of data including very large data sets. Please click here for more details. Analyze almost all data. Conduct analysis regardless of where the data is stored (such as in a data warehouse, a database, Hadoop or flat file) and regardless of whether it is structured (age, price, product, location) or unstructured (text, emails, social media). Solve a variety of business problems with an extensive range of analytics. SPSS Modeler offers analytics that range from descriptive analytics to advanced algorithms and that include automated modeling, text analytics, entity analytics, social network analysis, decision management and optimization. Get up and running quickly. 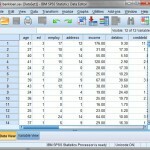 The intuitive SPSS Modeler interface appeals to a wide range of users from the non-technical business user to the statistician, data miner or data scientist because it enables them analyze data in a way that suits them. 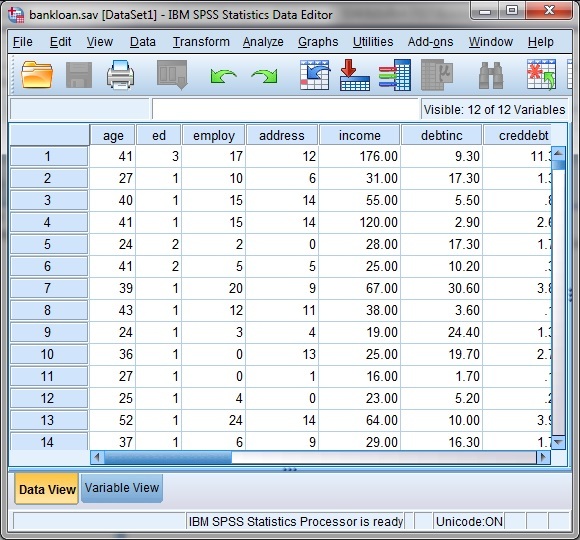 IBM SPSS Amos gives you the power to easily perform structural equation modeling (SEM). SPSS® Amos enables you to specify, estimate, assess and present models to show hypothesized relationships among variables. The software lets you build models more accurately than with standard multivariate statistics techniques. Users can choose either the graphical user interface or non-graphical, programmatic interface. Buku ini membahas konsep-konsep dasar penggalian data (data mining) yang menunjukkan potensi pengumpulan data berskala besar dan analisis menggunakan data tersebut untuk mendapatkan pemahaman bisnis. 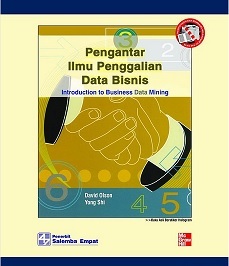 Buku ini merupakan terjemahan dari Buku Introduction to Business Data Mining terbitan McGraw-Hill, hasil karya dari David Olson & Yong Shi . Automatic data preparation ,And so much more…..
A spreadsheet is a great tool for certain jobs. But you may use spreadsheets for calculations that are beyond their capabilities, causing problems that range from small annoyances to critical business errors.